I don’t know anything about the software that allowed these videos to be created but the result is hypnotizing. Familiar faces age fifty years in a matter of minutes. It is simultaneously uplifting and angst-inspiring. 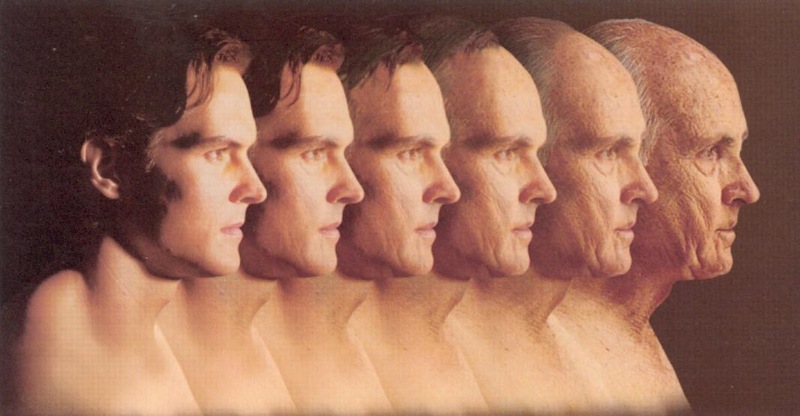 Watching the years race by we cannot help but ponder our own aging process. We are gripped by the urge to press pause at a certain image that is youthful or charismatic. And later we pine to rewind when it’s clear the best years have passed. But instead our minds fast forward to the inevitable conclusion we all must face. And when the present day is reached and the image freezes there is relief. And an appreciation of the time that remains. Existential crisis has been averted! It sounds a bit dramatic but watch the links below and see if you don’t feel the same. Self-preservation and body image are the most basic of instincts. It’s the human condition. Our default programming is a constant state of denial. We don’t often ponder our own existence because it’s so uncomfortable. But I think it’s healthy to do so once in a while. We all get old – hopefully with the same grade and dignity as these familiar folks. How would you feel about a video like this with your own photos? Watch a few from the playlist before you decide. 60+ channels for $35 per month. Free Apple TV (newest model) with a 3 month trial. You can view the different channel bundles here. You’ve got nothing to lose (except your offer priced Comcast bill). 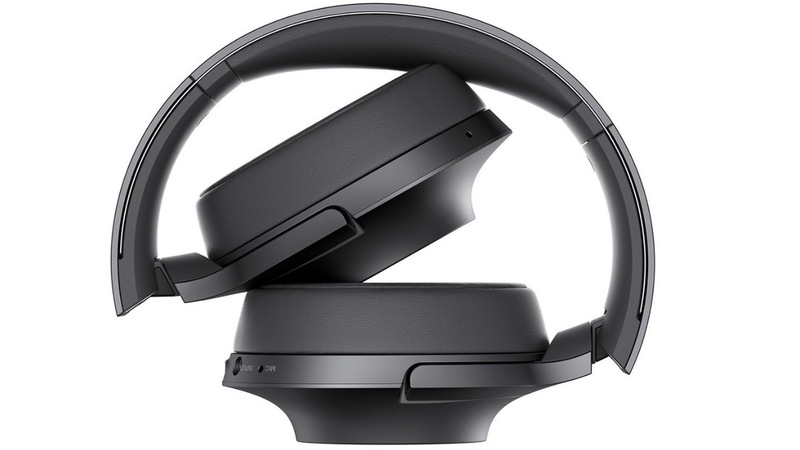 Sony’s Noise-Cancelling Headphones compare favorably to Bose’s offerings and today they are $150 off the regular price. If you are considering over-the-ear Bluetooth headphones then this deal is hard to beat at just $199. AT&T will go live with their internet TV streaming service on November 30th. 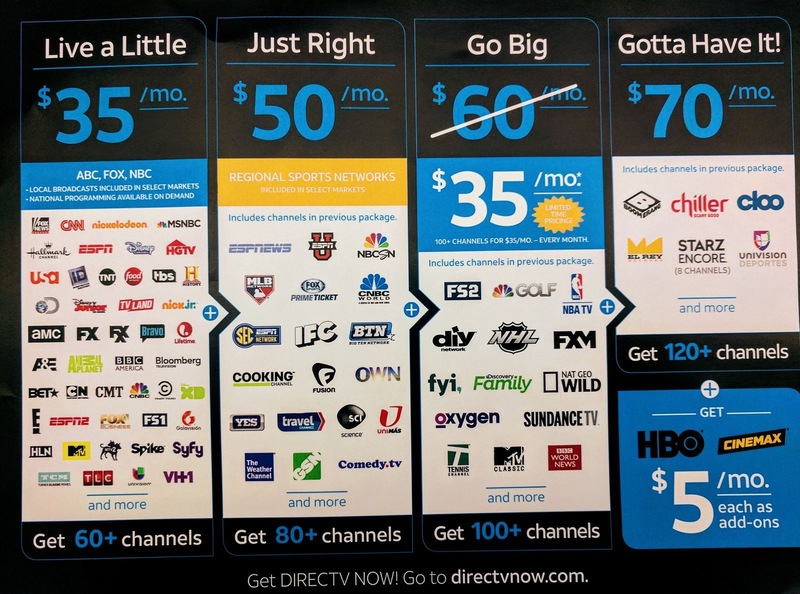 DirecTV NOW will have 4 generous packages as well as add-on options for individual premium channels. The basic package costs only $35 monthly and has over 60 channels. 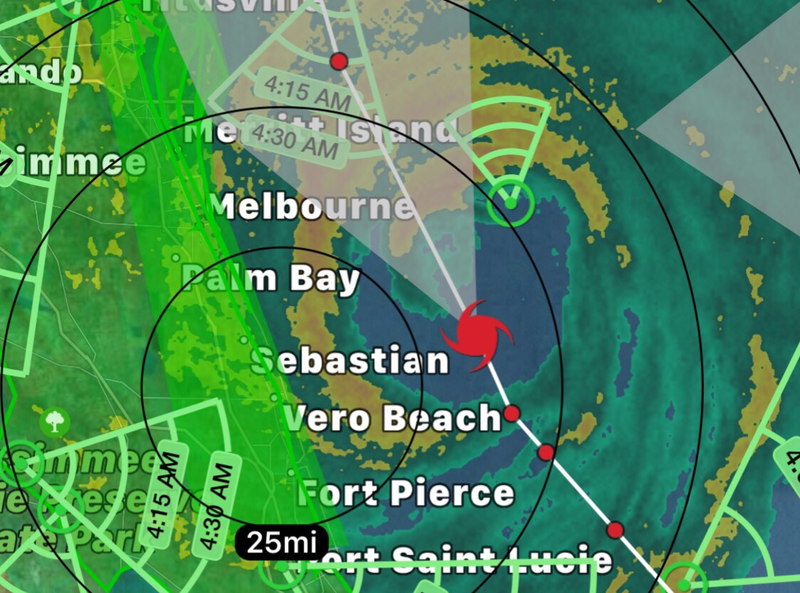 Major broadcast networks are included and the local networks in select markets [CBS is a separate app and payment for now]. It will stream over Apple, Android and Amazon devices in addition to your personal computer. AT&T mobile users will have unlimited allowances for DirecTV content via cellular data. 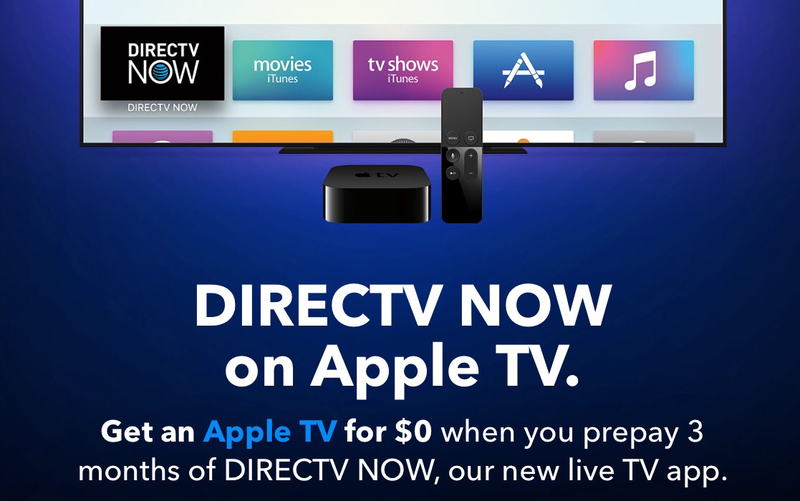 I’m ditching Comcast this month and getting the free Apple TV promo at sign up. Cord-cutters rejoice! Apple’s latest MacBook Pro has ditched the USB, SD, DisplayPort, ethernet and HDMI ports in favor of the newer USB-C/Thunderbolt 3 variety. Now none of your current USB devices will connect without an adapter. Fortunately the Apple Store has a full array of USB-C dongles for every possible circumstance. Every Mac since 1993 has awaked with a signature startup chime. Its presence signals a succesful passage of the initial hardware and firmware checks. Its absence, however, could aid introubleshooting a failed boot attempt. The tone became so associated with Apple that they trademarked the F-sharp major chord. This traditional sound (along with the glowing Apple logo) will end with the release of the Late-2016 Macbook Pro. There was always a way to silence the chime with a few command lines in Terminal. Thankfully, lovers of the chime can reactivate it with a single line of code. Just open Spotlight and search for Terminal. Once it has opened a command line simply type sudo nvram BootAudio=%01 and the chime will return on your next reboot. There was always something comforting about hearing that chord and then seeing your desktop spring to life. Personally, I’m looking forward to hearing it again. Mudslinging is easy – and it’s all the rage right now. Just tune in to a presidential debate if there’s any doubt. Yet with Apple’s rivals falling by the wayside there has been no gloating and no self-congratulatory proclamations. In the last few months we’ve seen whole product lines from Windows Phone, Nokia, Blackberry and the Samsung Galaxy Note go extinct. 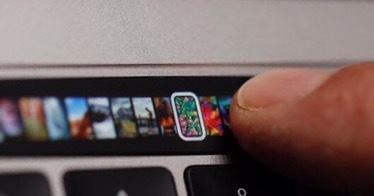 And still not a hint of Schadenfreude from Apple. What a contrast to Microsoft’s mock funeral for the iPhone in 2010. At the time Windows Phone 7 had yet to ship and the iPhone was on the brink of becoming a cultural phenomenon. Somehow the Microsoft’s mobile OS team felt compelled to celebrate a premature victory. The results are truly cringeworthy. There’s so much to love about this video: the dated format, the garish costumes, the cheesy choreography and most of all the sweet, sweet irony. Apple is keeping it classy and that speaks volumes to their corporate culture. Steve Jobs had famously stated that in order for Apple to win it’s not necessary for its rivals to lose. At the time that sounded counter-intuitive or even naive. But this week’s events show just how prescient those words were. Last month several sources reported the Jawbone UP activity tracker stopped shipping and the device maker’s bills were going unpaid. Updated reports suggest there is still hope for Jawbone’s recovery but expectations remain low. Now Microsoft has confirmed that the Band 2 will be discontinued once the current supply has been depleted. This news comes just as the second generation Apple Watch is hitting shelves. The Series 2 is being heavily promoted for its fitness capabilities rather than a do-it-all smart watch. Apple recently added social sharing of fitness achievements to better compete with the the growing community of FitBit users. The remaining manufacturers have aggressively updated their product lines in preparation for the Christmas buying season. The activity tracking market, however, is shaping up to be a two horse race between Apple and FitBit. Much like the smartphone market it is Apple that will dominate in revenue while it’s competitors fight over market share. Despite their impressive offerings TomTom and Garmin can’t afford to take the Apple Watch lightly. 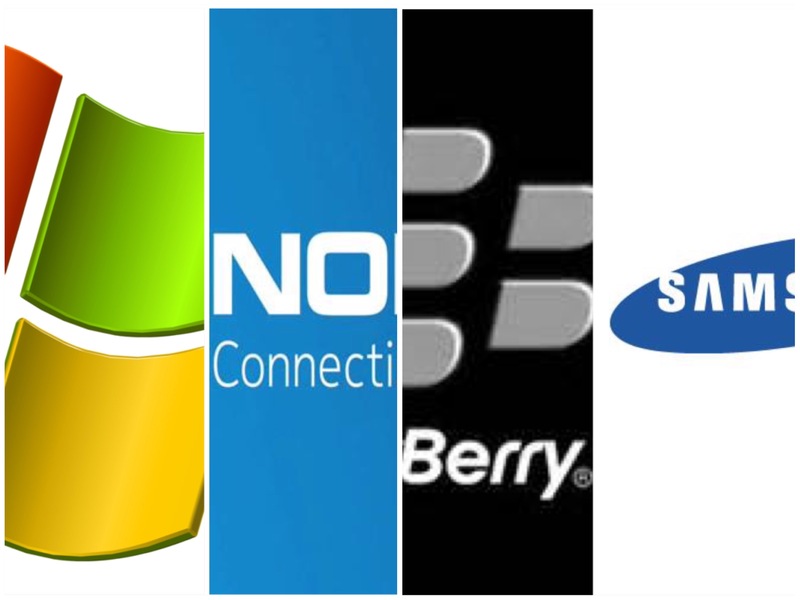 If there’s any doubt just ask Blackberry who quit phone production last week. He rides his skateboard to work, has 5 million YouTube subscribers and is GQ’s ‘New Media Man of The Year’. 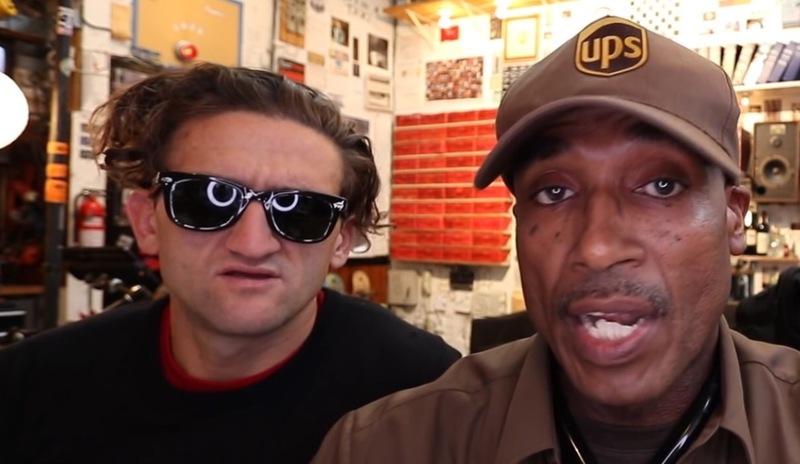 Filmmaker Casey Neistat is a YouTube phenomenon with big numbers and a bigger heart. His YouTube channel is a daily video blog that chronicles New York life through his own unique lens. It has a total of ONE BILLION views and typically generates another 1 million or more per post. Last month he broke records with his documentation of a $21,000 seat upgrade on a United Arab Emirates flight from Dubai. It has received over 21 million views in less than two weeks. His current review of the Mavik drone has gone viral to a similar effect. 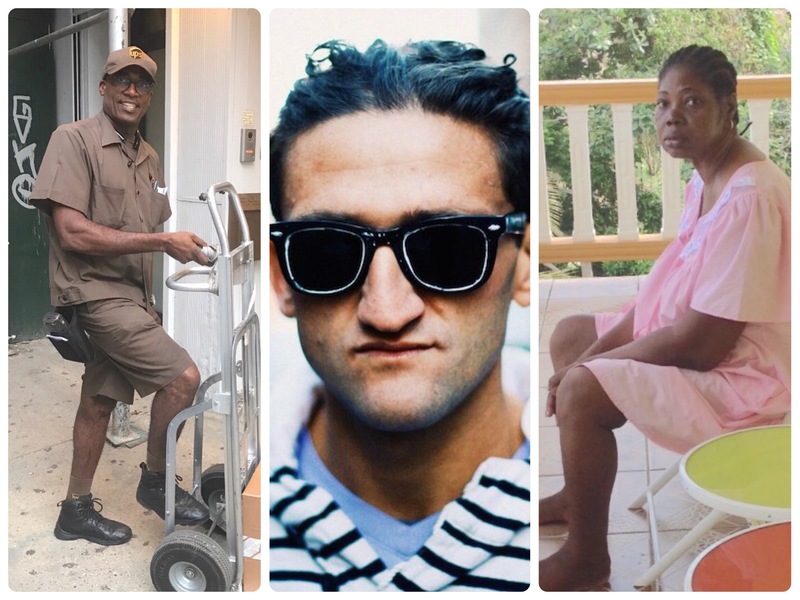 Casey’s UPS driver Marlan Franklyn is a frequent on-camera personality by virtue of his endless product deliveries to the studio. On Sept 29, 2016 Casey posted a 10 minute video entitled “He Needs a Little Help” that included a cameo by Marlan. In it he detailed his sister Merlex’s plight on the Carribean island of St. Vincent. She is suffering from severe diabetes and failing kidneys but can no longer afford treatment. At Casey’s urging Marlan started a GoFundMe with a goal of $125,000 to cover her medical bills. In just 5 days since Casey’s mention donations surpassed $151,000 and the effort was suspended. 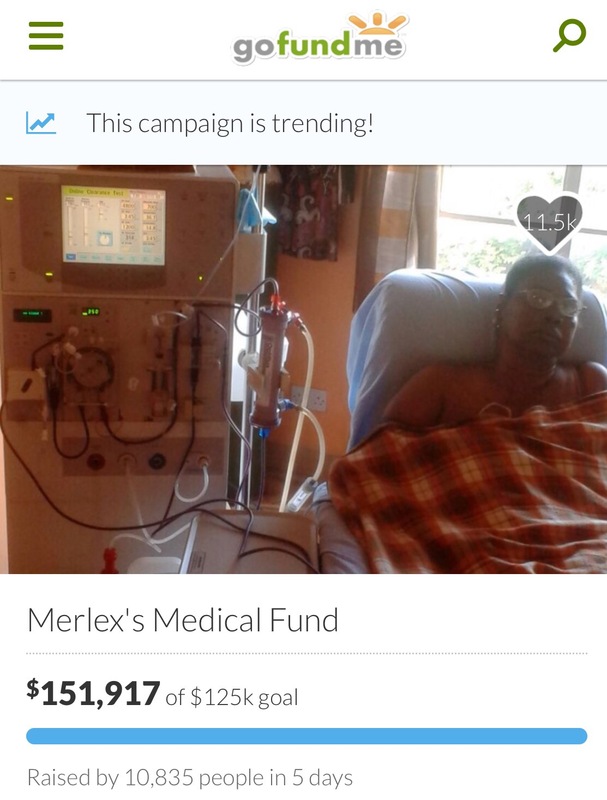 They plan to re-open donations to benefit the island hospital’s dialysis unit. YouTube began 11 years ago as a venue for the sharing of mindless home videos. It has evolved into a social media juggernaut such that a 90 second video appearance (multiplied by 2.3 million views) can blossom into a life-altering event. Thanks to people like Casey Neistat it’s a place where cat videos and miracles can live in the same feed.